We are CRAZY plant ladies over here. Adding a plant to your home, large or small, can give it life, color and freshness. We encourage you to try some of these low-maintenance plants for yourself, even if you think you have a “black thumb”. We have compiled a list of our favorite houseplants so far including care tips for each one. This plant has taken the home-decor world by storm...and for good reason! Here are some care tips for yours! Watering: I usually water my fiddle once a week. A simple trick is to stick your finger in the soil and if the top inch is dry, it needs some water! This will help ensure that you are not over-watering. When you do water, give it a good drink, maybe a water bottle amount or so. Sunlight: Do not put them in direct sun! When they are indoors, place them near a window with natural, indirect light for its best life. Rotate them every few weeks so that it grows evenly. Cleaning: Your fiddle’s leaves need to be wiped off. When the leaves get too dirty, they are unable to absorb all of the sunlight and nutrients they need. Therefore, every 2 weeks or so, take a damp cloth and simply wipe down the top of all of its leaves. The more dust, dog hair and other debris you have in your home, the more you need to do this. PRO TIP: You can propagate your fiddle leaf! I love the unique shape and pattern of these plants. 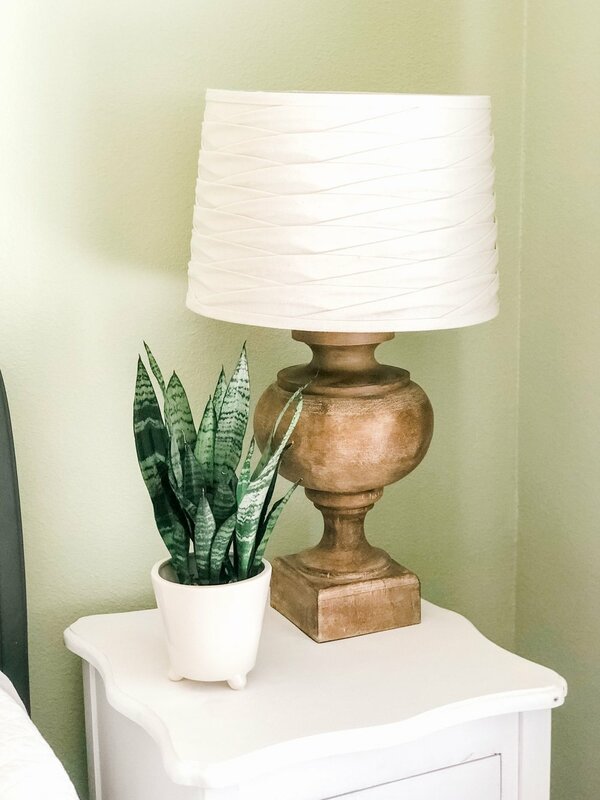 You always know what you are going to get when you add a snake plant to your space. They have clean lines and a nice deep green color. Watering: When you water, be generous and give the soil a nice drink. Allow the soil to dry between waterings, especially in the winter. So just be careful not to overwater, you can do this by testing the soil with your finger each time to make sure it’s dried out before proceeding. Sunlight: They do best in indirect sunlight, like near a window. Additional info: NOT safe for pets! Chewing and ingestion can make them sick. So if you do have a pet, its best to put it up high or in a place they won’t get into it. They are great plants for beginners and busy people because they prefer to be left alone for a while between waterings. BONUS: They are air-purifying plants! These are the cutest little additions to your plant family. They come in all different shapes, sizes and colors, so take your pick. And on top of that, they are so easy to take care of! Watering: They are watered similar to the snake plants.I typically water mine once a week, giving them a good soak when I do. Let them dry out between waterings and just use your finger to test the soil. Sunlight: Succulents need lots of sunlight! For indoor succulents, they need to be near a window to get around 6 hours of sunlight each day. Additional info: They are great plants for beginners and busy people because they prefer to be left alone for a while between waterings. Are they real or fake?! This is the question that I get about air plants most often. Obviously, I prefer the real ones and there are several reasons why. They are pretty, they are SUPER low-maintenance, they are funky and they draw attention. There are so many different types of air plants to choose from, so find the ones the best fit your style and try them out! There’s not much work that goes into them, but they sure do give life to your space. Watering: For my air plants, I typically water every week to 10 days. The way you water air plants is different from any other plant. First, you should fill a bowl (or larger vessel if necessary) with room temperature water. Then, completely submerge all of your plants and let them soak for 20-30 minutes. After they soak, lay them out on a towel to dry. Once dried, they’re ready to put back out on display! *If you live in a dry environment, plan to mist your air plants every few days. Sunlight: Air plants love bright, indirect light. The more sunlight they take in, the more water they may need. If you live in a humid environment, your air plants can handle more sunlight. Although all the care tips are different for herbs, we love them because they are so practical. You can use them for cooking and they look pretty! Where are my plant ladies at? What are your favorite house plants? We’d love to hear in the comments!